If you are looking to have a custom worksheet designed that will meet the challenges of your situation, to ultimately save you time and make it easy to use, you are in the right place. When I see an opportunity to help someone streamline a spreadsheet- I go all out and provide the best possible template that will help you with the challenges you face. 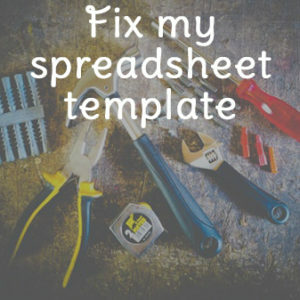 My goal with every custom order is to fully understand your unique situation, challenges, reporting needs and preferences when it comes to using excel worksheets. I can then work backwards to design a custom template that fits your style and makes it easy and time effective to use it. Human Resources and Compensation – With a CCP, PHR and 7+ years as a corporate compensation analyst, I look forward to reviewing your HR/compensation situation to get your spreadsheets streamlined. Small Business – With my background of having my own handmade, product-based business for several years, I understand the challenges you face with tracking sales, expenses and inventory. Rental Property Management – I come from a family of rental property owners and I understand those unique challenges and how to make it easy for you to use spreadsheets. I have provided custom templates to all these areas over the years, and I am always honored to help others achieve their goals and save time. You are getting more than just a spreadsheet with a custom order, but also my past experiences of working with many small businesses to streamline their processes, tracking the right data, and a specific analysis into what will work best for your situation. With a customized template, you are getting a comprehensive solution and my hope is that the investment will continue to save you time, long after I have designed your specific template. *First, let me know what features you would like and any other details about what you are looking to do. If you have a specific example or a halfway completed spreadsheet you’d like me to reference, that would help a lot too, but isn’t necessary. *Next, I’ll review your request and let you know if there will be additional charges beyond the $98 base price. I won’t start working on the template until we agree on an estimated price range. *After agreeing on a price range, I will send you samples pictures of the template draft along with explanations on how to use it. *Once all the features of the spreadsheet are completed, you will receive final pictures and any additional explanations of how to use it. 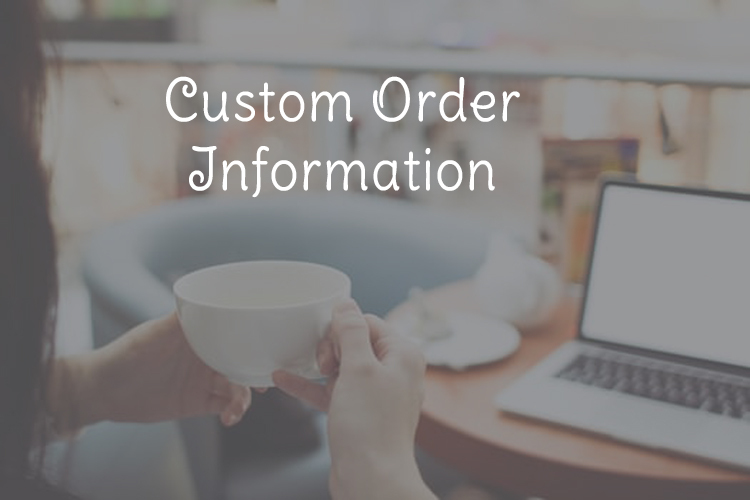 *Once you are satisfied with the setup, I will send the final listing/invoice, and email it to you after payment is received. Through this process, there can be a lot of back and forth emails, as I’ll usually have more questions or ideas about how to get the worksheet working best for you. *Are designed in Microsoft Excel, so you will need Excel on your computer to use these templates. *They come with protections on the formulas and customized with the name and/or business name of your choice. The formulas are protected so that they don’t get accidentally deleted, which could cause the template to not work as described. If you would like to make changes to formulas, I can send an unprotected version, but I do keep the name/business name cell protected. *When you buy a custom template, you agree that I may resell the template, or use all or parts of it in a you- tube tutorial. For customizations to an existing template that is listed here at Time Saving Templates, the base price is $98 with half of the deposit due upfront. This is the minimum price, however after reviewing your specific requests, I will let you know of any additional cost before proceeding to work on the project. For customizations that involve designing a new spreadsheet from scratch, the base price is $299. Even if it uses an existing template to start with, if there are significant changes and customizations it could fall under this category. If we agree on a custom order at or above $299, a deposit of $98 will be due prior to me completing the project. Final invoice will be due once the spreadsheet is completed. *Is this a rushed order? At any given time, I could have several custom orders to work on. 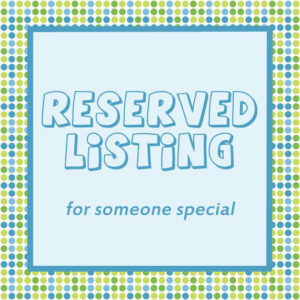 I prioritize based on who asked first and paid deposit first, however if you would like to skip to the front in priority, you can do so with a $98 fee and/or paying the entire custom fee up front. For customizations to an existing template – there can be 1-2 minor revisions/updates/ changes to the file. With the 3rd + change, there will then be a $50-98 fee per change/update. For new spreadsheet designs – there can be 3-4 revisions/updates/changes to the spreadsheet. After that there will be a $50-98 fee per change/update. 1.) I can add your template idea to my next product collection. This is a great option if you don’t need the template asap and can wait until my next collection release. My goal is to release a new product line (10 templates) every 3-4 months, so please send me your ideas & I will try my best to add them in! 2.) 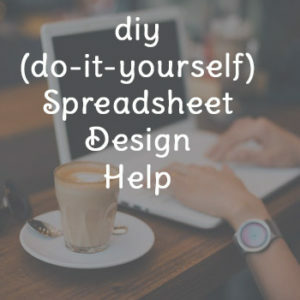 If you just want a little bit of help getting started there is also DIY Template Design Help. If you’re looking for an excel spreadsheet (boilerplate or customized to your particular needs), Erin of Time Saving Templates is the answer! I cannot recommend her enough. I never met Erin in person. I needed a custom excel spreadsheet template, had no idea how to design what I wanted and worked with her through email. She was patient and on point. The end result was exactly what I needed. FIVE STARS!!!! !